Bring Me The Horizon have some balls on them. They didn’t have to release an album like ‘amo’, they could have just repeated what they did on 2015’s ‘That’s The Spirit’ and channelled the essence of ‘Hybrid Theory’, whacking big stadium rock banger after big stadium rock banger to cement their reputation as the biggest band in metal. But BMTH have never been a band content to be the biggest in their own field, not when there are far greater territorial gains to be made over in the nebulous mainstream where Imagine Dragons are considered a rock act. If you’ve read any interviews with frontman Oli Sykes or keyboardist Jordan Fish over the last few years then this album’s content will not surprise you. They’ve been gleefully running their mouths about modern rock, describing the whole genre as “mostly shite” and claiming that they themselves prefer the forward-thinking pop of acts like Banks, serpentwithfeet and Twenty One Pilots. 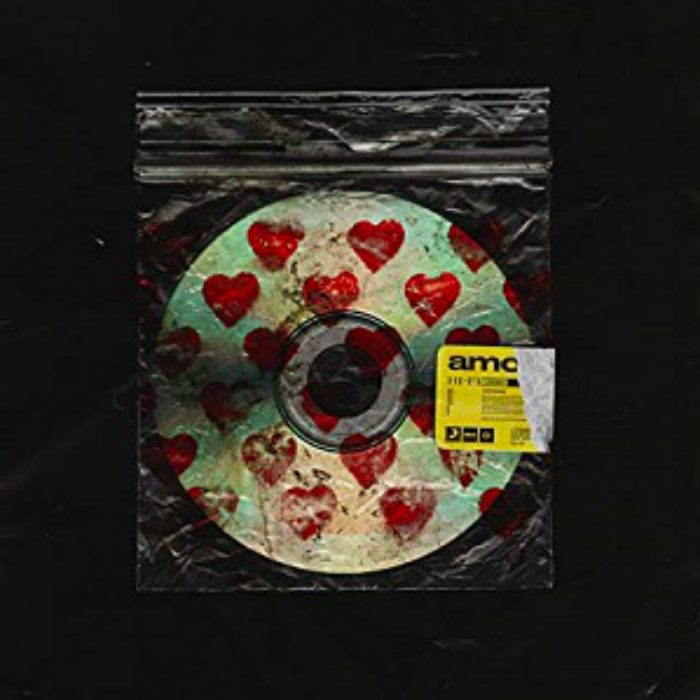 So ‘amo’ seems to be their attempt at making an album they would like to listen to themselves if you are a member of the band Bring Me The Horizon, you will love this record. If you aren’t, well then your enjoyment of this wildly inconsistent album will depend on your tendency to value uncritical self-belief above all other considerations (up to and including basic listenability). Let’s start with the positives, and there certainly are positives. After all, you don’t release a record consisting of 13 completely unconnected tracks without a few experiments; and when Sykes enters full-sneer-ahead Liam Gallagher mode on ‘Mantra’ and ‘Wonderful Life’ over Lee Malia’s planet-sized guitar, BMTH sound like a band you could follow into battle (even if the latter lifts its rubbery riff wholesale from Gojira’s ‘The Cell’). Away from the guitars, Sykes’ decision to work with empress of alt-pop Grimes on ‘Nihilist Blues’ is inspired. While his band have been fleeing their metal roots with hopes of becoming a full-blown pop outfit, she’s been moving rapidly in the other direction with guitar-led bangers like ‘We Appreciate Power’ and Poppy collaboration ‘Play Destroy’, meaning their styles have converged at a neat midpoint. The song itself is the album’s most effective fully electronic experiment, capturing that same kinetic throb 65daysofstatic mastered back on ‘We Were Exploding Anyway’. The album also ends strongly. The playful ‘Heavy Metal’ (an absolute trolling of whining fans that obnoxiously climaxes with just five seconds of old school deathcore) is worth the price of admission alone. It also conveys the album’s overarching theme of soured love better than any other track. The recently divorced Sykes claim that ‘amo’ is a concept album about all aspects of love, but really almost all of its tracks are about the bitterness and self-pity that fill the vacuum love leaves when it’s gone. A clear exception to this is his closing tribute to a deceased friend ‘I Don’t Know What To Say’, an emotional powerhouse of a song with an orchestral backing nearly as epic as parts of old peers Architects’ ‘Holy Hell’. But enough about the salvageable stuff, what about the pure dreck that surrounds it? What about ‘In The Dark’, a song tailormade to be played on aeroplanes to sooth nervous flyers with its inoffensive dullness before take-off? What about ‘Why You Got To Kick Me When I’m Down?’s unrecognisable foray into mumble rap or the offensively generic Britrock of ‘Sugar’? Not to mention latest single ‘Medicine’ - a track you can’t even tell to get in the bin as it would take up valuable space better saved for fish skeletons and mouldy broccoli. The unfathomable thing about Bring Me The Horizon is what it is they think that they bring to the mainstream? They just spent their entire press appearances talking smack about how backwards-looking guitar music is, only to release an album packed with the kind of half-baked EDM pop Maroon 5 might have churned out half a decade ago. If they are so desperate to be right where they think the cutting edge of music is now, then why do they insist in writing songs that sound like JLS? The true tragedy of ‘amo’ is how often it fails on its own terms, how often the group attempt to faithfully recreate the kind of music they enjoy rather than identifying elements to pinch and combine with their own strengths. Much like last year’s ‘Simulation Theory’ from fellow rock titans Muse, this album captures an occasionally combustible but largely uncomfortable sound of a previously fearless and pioneering band caught in a crisis of confidence, overriding their own musical instincts to pursue an idealised version of themselves they picture in their own heads.